What makes an Alpine Endeavors guide different from the rest? 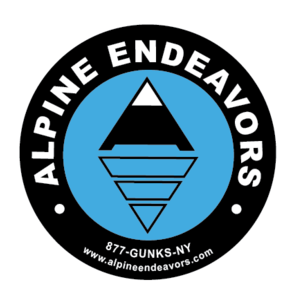 In addition to Alpine Endeavors meeting the standards for AMGA Accreditation, all Alpine Endeavors guides operating in New York are New York State Licensed. 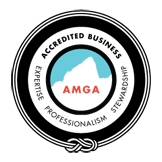 Above this, all Alpine Endeavors guides have gone through additional training and/or certification with the American Mountain Guides Association (see certification key at bottom of page). This is a standard we have upheld since 2005, when we started as the only service in New York having all AMGA certified guides. Until a guide is certified, they can only work with us as an assistant under the supervision of one of our certified guides. Having a guide that is certified assures you they have the experience and training to instruct the most up-to-date material and also the know-how to avoid and/or deal with the many situations that can arise. New York State only offers licensing, the AMGA offers training and exam-certification of guides based on an international standard. For more information on the American Mountain Guides Association (AMGA) and the NYS DEC guide license program, please visit their web sites. Alpine Endeavors is proud to work with some of the most experienced and well rounded guides in the area. In addition to our senior guide and guide staff, we also have assistants who work under supervision of our guides on group programs. Our assistants are NOT certified. They may be previously certified and are in the process of re-certifing, or have recently participated in some AMGA courses and are on the way to certification. IFMGA Certified Mountain Guide, AMGA Certified Rock Guide, AMGA Certified Alpine Guide, AMGA Certified Sk Mountaineering Guide, Wilderness First Responder, Leave No Trace Master Educator, AIARE (avalanche training) Level I, II, and III. New York State Licensed Guide. In addition to our senior guides, Alpine Endeavors works with specialists from other outdoor professions. These specialists bring their vast experience to us for special programs, as well as work with us as guides in various locations. We strongly support and believe in the AMGA. All of our guides are certified in one or more disciplines, and assistants are on their way to certification. Please use this key to understand more about the current certifications our guides hold, and what it takes to become certified.